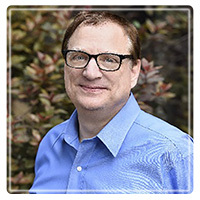 Chicago Therapist: Joseph Gerard Potaczek - Therapist 60602. Send A Message To Dr. Potaczek. Session Fees: Initial Consultation = $200 One Hour = $165 Sliding Scale Fees: I currently offer sliding scale fees based on income. Please contact and we can determine a rate that can work for you. •	Lower Sliding Scale fees available for Students, Unemployed, those without Insurance. Please contact me to discuss a fee that can work for you. "My work is with adults, young adults and adolescents. Being unhappy, depressed or anxious arises from being stuck in patterns that stifle growth, inhibit change and increase stress. I help clients move toward positively addressing these patterns and obstacles.I specialize in treating stress, depression, healthy lifestyle management (insomnia, diabetes), men’s issues (anger, infidelity, alcohol), occupational and relationship problems. Additionally, I work with individuals experiencing, grief, major losses, sadness, feeling anxious or defeated. My experience includes working with emerging adults struggling with relationships, dating and loneliness; the stress of young professionals, medical students/residents and graduate students." "During our initial meeting and evaluation, I will work collaboratively with you to identify your primary concerns and problems you are experiencing. We will also explore your personal strengths. I will assist you to understand any negative patterns that may be inhibiting your growth and reduction of stress and pain. Increasing your self-awareness and helping discover ways to change patterns leads to healing and a more fulfilling life." Dr. Potaczek is a native Chicagoan. He came to psychology after a previous executive management career and then completed his Psy.D. (doctor of psychology) at Adler University in Chicago. His perspective and experience reaches out to supporting the needs of individuals undergoing various concerns, stressors and transitions. He is a licensed clinical psychologist who engaged in clinical training in community mental health, hospital ER at Holy Cross Hospital, outpatient mental health clinic at Illinois Masonic Medical Center, providing drug and alcohol treatment at Haymarket Center, and in correctional psychology settings at the Cook County Juvenile Detention Center and the State of Illinois Department of Juvenile Justice (American Psychological Association accredited internship). Dr. Potaczek works collaboratively with psychiatrists and primary care physicians.